Join us for a fabulous evening of food, drinks and fun in support of the club. This year our Women in Rugby event kicks off the Mothers Day weekend in fine style. 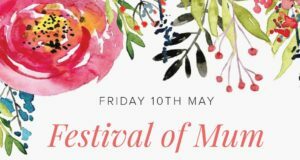 Why settle for Mothers Day when you can be part of the “Festival of Mum“. This is a great opportunity to meet new people and catch up with old friends. This events welcomes family, friends and daughters over the age of 18.